After bouncing from one AirBnB to the next during my trip to Tokyo, I suddenly had the urge to settle in an accommodation that’s not only right in the very heart of the metropolis, but also oozing with comfortable indulgence! Indeed, I didn’t mind splurging at all just so I can try and see how it feels like to stay in a haven of luxury in urban Japan. My eyes were set on Shinjuku during that time; so naturally, I set out to hunt for the best world class hotel in the area — and well, my search ended when I chanced upon Keio Plaza Hotel Tokyo. Below are the reasons why I ended up staying with them, and why I will continue to recommend them as a top luxury hotel in Tokyo! Prime Location. Smacked right in Shinjuku, Keio Plaza Hotel Tokyo was only minutes away from the most popular shopping and entertainment spots of the district. Not to mention the fact that each of their rooms provides stunning views over central Tokyo! After all, the hotel building is just beside the Tokyo Metropolitan Building which is arguably one of the best spots where you can get a scenic bird’s eyeview of the cityscape. Amazing Amenities, Rooms, and Service. Keio Plaza Hotel Tokyo houses a wider variety of amenities — from Japanese tea rooms, where you can watch a traditional tea ceremony, up to Karaoke rooms, where you can sing your heart away! (I’ll discuss this in more detail in the latter part of this article). To add, the hotel also provides several rooms that are designed to fit any kind of fancy and that’s even coupled with a commendable home-away-from-home hospitality of their staff! Houses an Array of Mouth-Watering Restaurants. 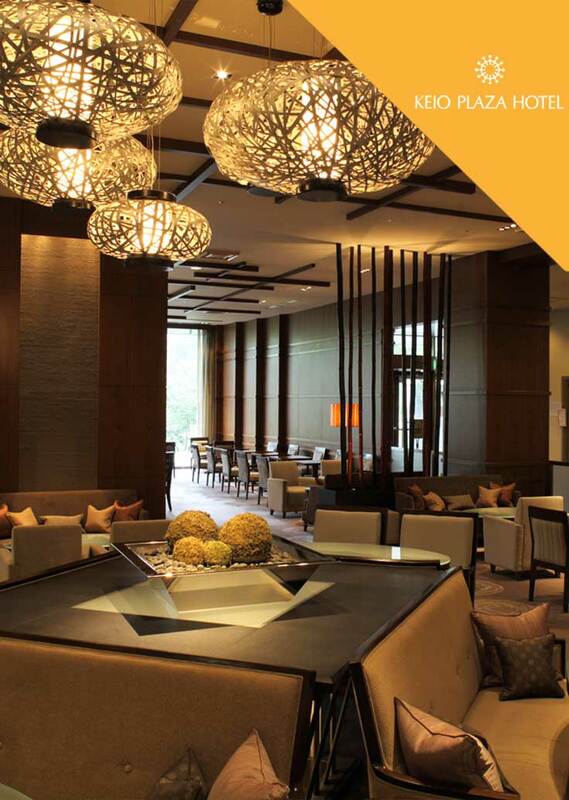 Boasting over 15 restaurants and bars, Keio Plaza Hotel Tokyo can be a foodie person’s dream come true! Teppanyaki, sushi, kaiseki, tempura — the list goes on; you can absolutely get an amazing array of eating choices day by day right inside the hotel. All of these rooms are located on the upper floors with exclusive access to the Club Lounge so that you can immerse yourself even more in ultimate comfort and relaxation. The rooms that allows access to the Luxe Lounge are typically located on floors 28 to 39, offering the most fabulous panoramic views of the city. 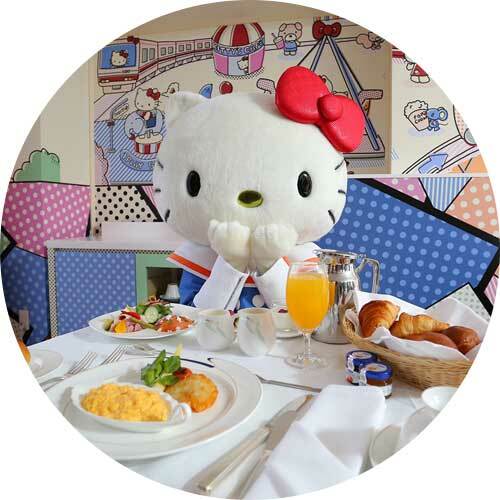 NOTE: Learn more about each of these Hello Kitty room here! Club Lounge. Booking into one of the club rooms gives you access to the Club Lounge. With a dedicated concierge, you will also get to enjoy a luxurious lounge zone, library area, meeting room, and dining area — all with free WiFi! (Open from 7AM to 10PM). Luxe Lounge. Designed to be used not only by Plaza Luxe and Plaza Premier guests, but also by Executive International Club members. This area has multiple zones that you can use either for business or for pleasure. (Open from 10AM to 5PM, bar time is from 5PM to 10PM). Amanogawa (Japanese Sake Bar). Never leave Japan without drinking sake (rice wine)! And it is here in Amanogawa of Keio Plaza Hotel Tokyo where you can taste premium sake selected by a sake sommelier. (Open from 5PM to 10:30PM). Cocktail & Tea Lounge (Lobby Lounge). A perfect place in the mornings to grab coffee in, and in the evenings to grab some cocktails and whatnot. (Light meals are also available, open from 11AM to 11PM). Duet (Art Lounge). With an interior design that mixes western and eastern art elements, this is where you can enjoy a great variety of drinks and Western and Japanese sweets. (Open from 9AM to 11PM). Japanese Tea Ceremony Room “Sho-Fu-An”. Experience and witness the interesting world of Japanese tea ceremony, right here in the sophisticated Japanese room of “Sho-fu-an”. (The price is set at 2,000 yen or $20). Karaoke47 (Karaoke). Yet another must-do when you’re in Tokyo? To try a karaoke experience with friends or even solo! Keio Plaza Hotel has over 4 karaoke rooms that are backdropped by panoramic views of the city. (Open from 4PM to 11:30PM, with prices starting from 6,000 yen or $60 per hour). Poppins (Food Boutique). This is an interesting store that sells a variety of the hotel’s own brand of premium quality teas and honey, breads and sweets! (Open from 9AM to 9PM). Swimming Pool and Fitness Room (Main Tower 7F). Business Center (Main Tower Lobby). Provides everything that you may ever need for work and business. (Open 24 hours). Yamanami (Teppan-yaki). I was lucky enough to have been able to try a mouth-watering dish of Kobe beef and Hida beef cooked teppanyaki style (cooked on an iron griddle) and it was AMAZING. I have never tasted beef that was as good and as soft as those! To add, the chefs here prepare the dish before your very eyes in an extravagant life performance, so it’s an absolutely memorable experience that I urge you to try! (Open from 11:30AM to 3PM during lunch with prices from 5,500 yen or $54, and from 5PM to 10PM during dinner with prices from 10,000 yen or $98). Shun (Tempura). Tempura is a Japanese dish made of seafood or vegetables that are battered and deep fried, and it’s here in Shun where you can get them prepared by expert chefs! (Open from 11:30AM to 3PM and 5PM to 9:30 PM with prices starting from 7,000 yen or $69). Kagari (Japanese Cuisine). This restaurant offers a broad range of Japanese dishes such as shabu-shabu, sashimi, and many others. (Open from 7AM to 10:30 AM for breakfast at 3,000 yen or $29, from 11:30AM to 3PM for lunch at 2,600 yen or $26, from 5PM to 10:30PM for dinner starting at 7,000 yen or $69). Duo Fourchettes (French & Italian Cuisine). If you’re more into western food during the duration of your stay in Keio Plaza Hotel Tokyo, fret not because Duo Fourchettes has you covered! (Open from 11:30AM to 4PM at 2,200 yen or $22, and from 5:30PM to 10:30PM for dinner at 4,500 yen or $44). Jurin (All Day Dining). Among all the restaurants available in Keio Plaza Hotel Tokyo, Jurin serves the most broad variety of cuisines. (Open from 5AM to midnight, with the sweets buffet opening from 3PM to 5:30PM. Breakfast is at 3,800 yen or $37, lunch at 2,200 yen or $22, and dinner at 4,500 yen or $44). Soujuan (Kaiseki Cuisine). Kaiseki is a traditional multi-course Japanese dinner with the food often typically arranged in a very artistic way as it portrays the beauty of local ingredients and tableware. (Open 11:30AM to 3PM for lunch at 6,000 yen or $59, and from 5PM to 10PM for dinner at prices starting from 11,500 yen or $112). Glass Court (Super Buffet). This restaurant has an open kitchen and it predominantly offers Asian cuisines. (Open from 6AM to 10:30AM for breakfast at 3,000 yen or $29, lunch from 11:45AM to 3:30PM at 3,600 yen or $35, and dinner from 5:30PM to 10PM at 5,600 yen or $55). Nan-En (Chinese Dining). Designed after a Chinese garden, you can get to taste classic Chinese dishes here cooked in Cantonese style. The head chef Li Guo Chao was awarded with a Yellow Ribbon by the Japanese government that recognizes his dedication to the profession. (Open from 11:30AM to 3PM for lunch at 2,200 yen or $22 and dinner from 5PM to 10PM at 9,000 yen or $88). Gokoku-Tei (Korean Dining). This is the first ever Korean restaurant that has been directly run by a hotel in Tokyo and has naturally been a popular dining destination. (Open from 11:30AM to 3PM for lunch at 2,100 yen or $21, and from 5:30PM to 11Pm for dinner at 6,500 yen or $64). Kyubey (Sushi). Each and every sushi is prepared by a master chef, making it a must-try! (Open from 11:30AM to 2:30PM, and from 5PM to 10PM). Fumotoya (Soba Cuisine). Japanese soba dishes are made from thin noodles made from buckwheat. (Open from 11:30AM to 3PM, and 5PM to 11PM). Booking: See the BEST deals and prices for Keio Plaza Hotel Tokyo at their website! Disclaimer: I paid 50% of the price of my stay, but as always, all thoughts that are expressed in this article are fully my own. It’s pretty clear to see that Keio Plaza Hotel Tokyo has almost practically everything that a guest might ever need during a staycation. Truth be told, from the amenities and restaurants that they already possess, this luxury hotel may very well be a city of its own! If I ever come back to Tokyo — which I definitely will! — I will be staying again with Keio Plaza Hotel Tokyo because they have truly perfected the concept of comfort, luxury, and style. Besides, while I was their guest, I have experienced a one-of-a-kind hospitality and indulgence that I have not found anywhere else, thereby making my whole stay worth the money — if not more! And for sure, you’ll be experiencing the same. BOOK WITH KEIO PLAZA HOTEL TOKYO NOW! What do you think of Keio Plaza Hotel Tokyo? Would you like to stay here? Why or why not? Or have you been here before? How was your stay? Wow, Japan is a great place to stay! That hotel looks so neat. Looks an amazing place and I like the ambiance there. I want to go there and try their luxury service! Their food looks good too. I bet you will love them if you do!